Deery Brothers of West Burlington, Iowa provided several vehicles for test drives. Kick off for the opening of the DC fast-charging station. 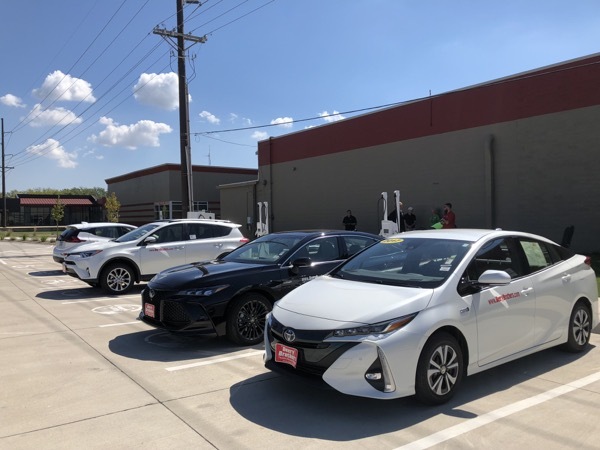 FREE Electric vehicle Ride and Drive event 10am-1pm Saturday, September 15 at PZAZZ Entertainment Complex, 3001 Winegard Drive, Burlington, Iowa. Chargers available at PZAZZ! are FREE to use. Plug in away from home, top off your battery and enjoy the freedom to go where you want and get home with miles to spare on your battery. Registered attendees report 2,700 electric miles driven.